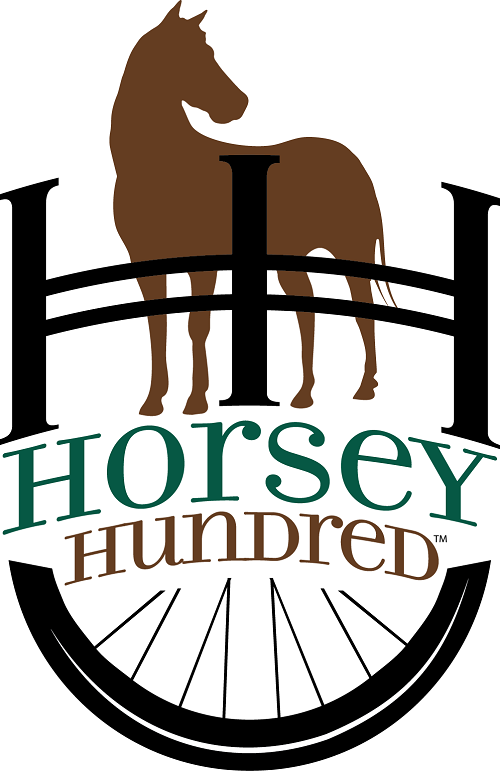 The Horsey Hundred Steering Committee is MIXING THINGS UP for 2019! Recognizing that many of the Horsey's cyclists return year after year, the Committee decided to "flip" the routes from the usual weekend pattern. This year's five Saturday routes, including the epic Horsey Hundred Century route be going EAST from Georgetown, and Sunday's four routes, which generally reflect a shorter and more relaxed day in the saddle, will be going to the WEST. There are still multiple route choices for each day with lots of new roads, an amazing variety of scenery, and plenty of intriguing historic sites for you to enjoy! Riders will depart Georgetown College on Saturday and after just a few urban miles will find themselves in beautiful farm country and heading east into historic Bourbon County (namesake of Kentucky's world-famous spirit). All of the routes go through or very near Paris, Kentucky, which is known as the “Thoroughbred Capital of the World.” The area is home to dozens of famed horse farms, including Claiborne Farm and Adena Springs. The 100 mile route will be a scenic and challenging century ride that includes a beautiful covered bridge, stone fences, a large commercial orchard, every type of working farm, and six of the seven rest stops are located at historic churches (one is nationally known Cane Ridge Meeting House). Other fully supported distances include 25, 40, 50 and 74 mile routes that take riders through the same type of rolling, breathtaking landscapes as the century route. No matter the route you choose, you can look forward to a hand-dipped ice cream float at the last rest stop before the short jaunt back into Georgetown (but save some room for the awesome lunch provided at the finish). There is no registration via mail. There is no Saturday only option. Sunday only registration opens online Saturday afternoon of the event. Registration of Minors: We encourage families to participate in our ride, but please note that riders under 18 must be accompanied by a parent or guardian, who must sign the minor’s registration form.